ALEX took over the operation of most München - Lindau services from DB Regio at the end of 2007. The new class 223s and coaches looked good in their smart blue and white colours but most trains were only two coaches long, making them difficult to photograph satisfactorily. 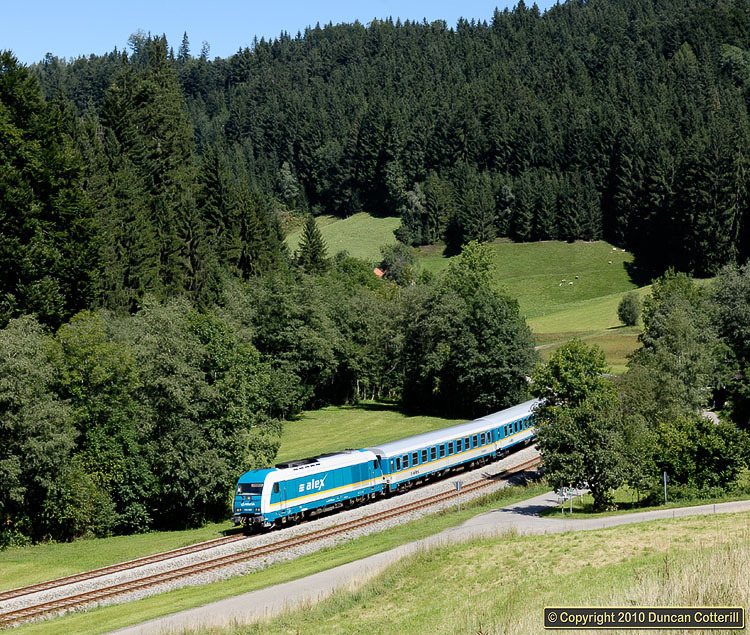 223.068 rounded the curve north of Zell with ALX86213, the 11:56 from Lindau to München, on 24 August 2008.